10 Red Mulberry Tree Cuttings , I send a few extras - No Roots- Each is around 6 inches tall. , I recommend some rooting hormone to help these cuttings get off to a fast start but it is not required. 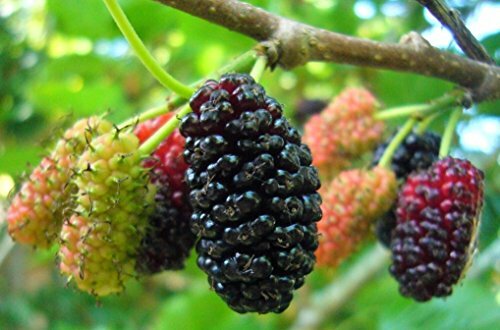 Red Mulberry provide tasty Red and Black Mulberries all season long. A favorite among kids and songbirds, the fruit is often used in pie or jams. Black Mullberry Trees are native to the Continental 48 and a very hearty and fast growing tree. They can live 40+ years and get 25 feet tall and 20 feet wide. These trees will bear fruit on the second year of growth. Grow your own food or treats and accent any outdoor space with this fun tree. Great in Pies and Jams - Organic Food - Produce Fruit in the second year. If you have any questions about this product by Sweet Berry Tree, contact us by completing and submitting the form below. If you are looking for a specif part number, please include it with your message.